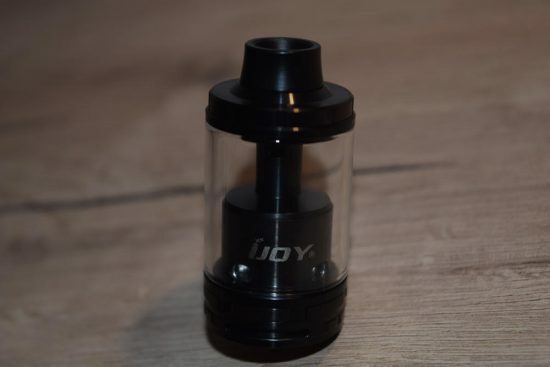 Get a 15% discount on the new iJoy EXO RTA, using our exclusive coupon code. Up until a while ago, SMOK used to be the busiest company in the vaping industry, but iJoy have really been contesting that title lately by pushing out products at an impressive rate, making it harder for reviewers like me to keep up. 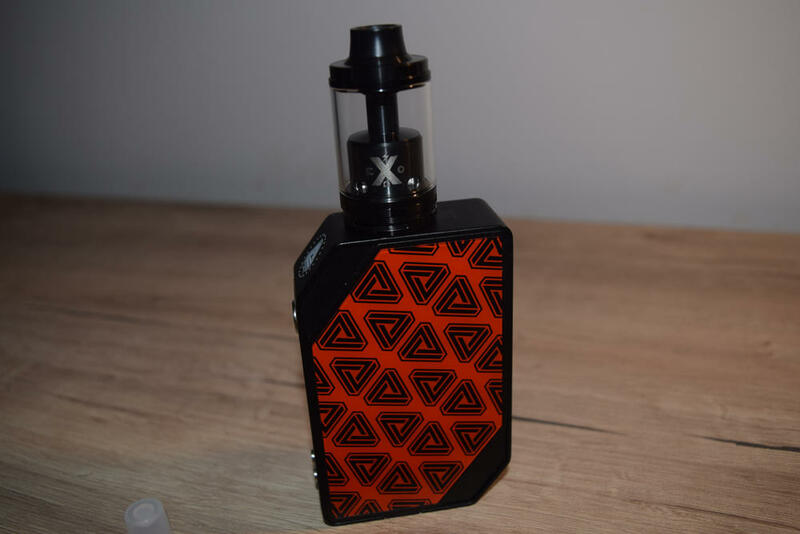 Their latest creation is the EXO RTA tank, a versatile atomizer that comes with two different build decks – one for single coil and another for dual coil vaping – and that transforms from a 2 ml capacity “shorty” to a massive 6 ml tank. The iJoy EXO RTA kit comes in a clear plastic case packaged in a colorful paper wrapper. This is definitely the most eye-catching packaging design I’ve seen from iJoy, a company that previously didn’t put too much effort into the presentation of its products – the plain black box of the iJoy MAXO is a clear example of that. Inside the case, we have the pre-assembled “shorty” version of the EXO RTA, a standard spare glass tube, an extra-long glass tube, an XL capacity extension section, a single-coil build deck and a dual-coil standard Velocity deck (pre-installed), a Phillips screwdriver and a bag of goodies (spare screws, spare o-rings, organic cotton, 3 fused Clapton coils, and an airflow restriction adapter). Underneath the foam holder you’ll also find a user manual. This is definitely a high quality atomizer kit. You’re not only getting a 2-in-1 tank, but also loads of free accessories and spare parts that more than justify the $41 price of the iJoy EXO RTA. In the pre-assembled “shorty” mode, the iJoy EXO RTA measures 41 mm in length, has a diameter of 26 mm, and an e-liquid capacity of 2 ml. 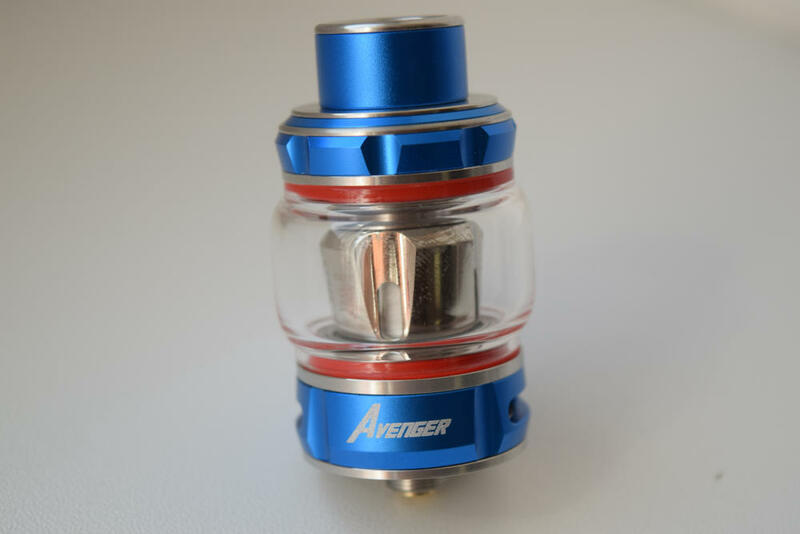 After replacing the standard glass tube with the extra-long one, the tank becomes 51-mm-long, and the juice capacity becomes 6 ml. I personally prefer the smaller version, just because it reminds me a lot of the iJoy Tornado 150, one of the best tanks I have ever used. You obviously have to refill it more often than the 6 ml configuration, but the excellent performance and portability of the shorty are more than worth the trouble. 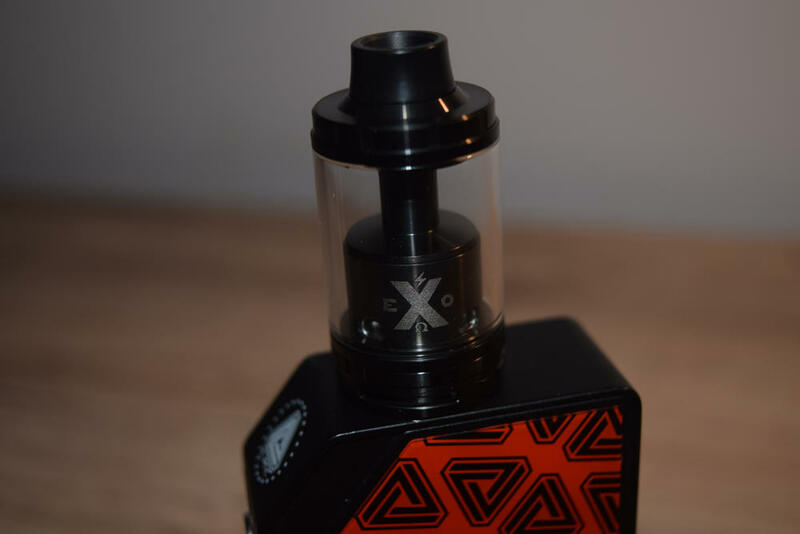 As I mentioned, the shape of the EXO RTA in short mode is reminiscent of the Tornado 150, although there are plenty of design elements that set the two apart. 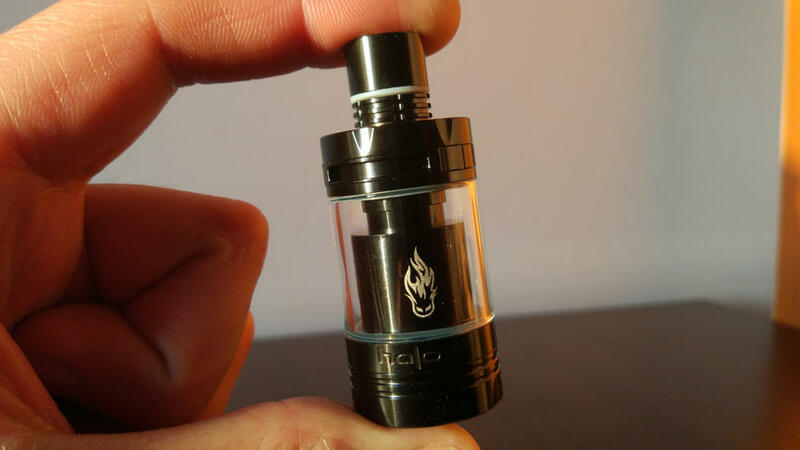 The Tornado is 25 mm in diameter, while the EXO is 25.5 ml at the base and extends to 26 mm in the glass section. The Delrin drip tips are also different, with the Tornado sporting a wide bore non-510 tip, and the EXO a narrower 510 removable tip. The EXO also features juice flow control, which the Tornado does not. 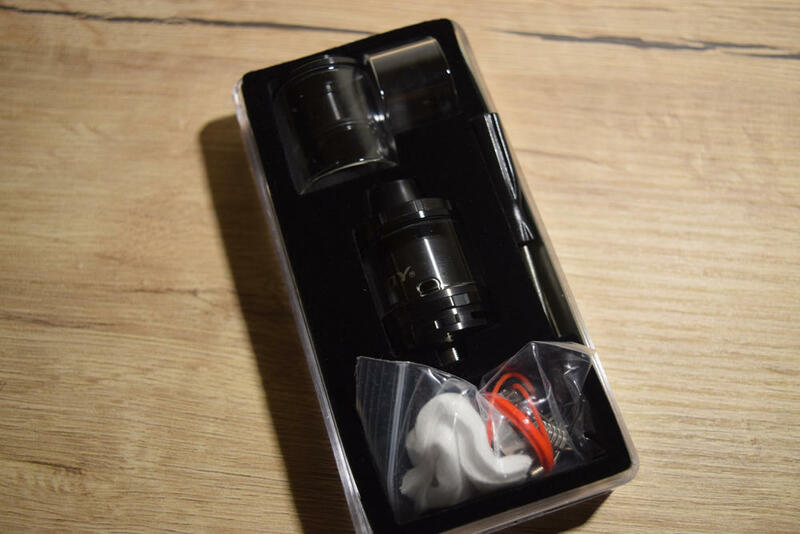 However, the overall shape, the top-filling system and the bottom airflow system of the short EXO RTA have definitely been inspired by the awesome Tornado 150 tank. The extra-long version of the tank, on the other hand, looks similar to the Griffin 25, minus the top airflow section. They’re not identical, but this comparison should give you an idea of what to expect. Basically, it’s a tall RTA with great e-liquid capacity. I find the long version of the EXO RTA much more suitable for at home use, while the shorty is great for vaping on the go. But apart from the two available mods, what makes this tank special is the ability to switch between the two different build decks. The EXO comes pre-installed with a classic Velocity-style deck. We’ve seen the likes of it on countless atomizers in the past, so there’s really no point in going into details about it. 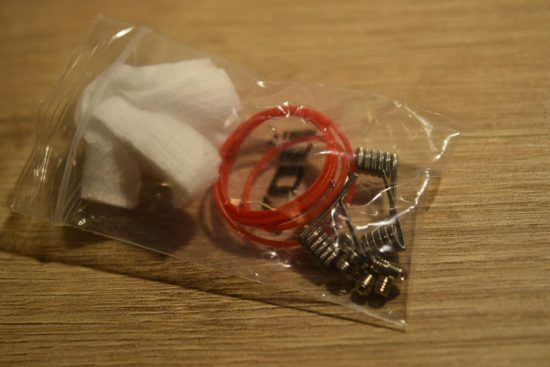 It’s a tried and true design that makes mounting the coils easier and performs very well. The other included deck is much more interesting. 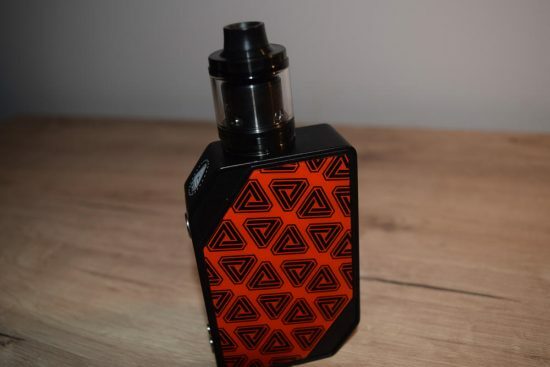 It’s a single-coil design very similar to the one of the new GeekVape AMMIT. It features the same three-dimensional airflow system, with the coil being hit by air both from a bottom slot and from another located on the opposite side of the deck. So you have both bottom and side airflow for improved flavor and vapor production. This deck is also very easy to build on, with the two Velocity posts located very close to each other. It also has a lot of build space, so you can use whatever coil you prefer without worrying if it fits. As always, the first thing you need to do is give all the components a good rinse with warm water to wash away any leftover machining oil. Let them dry naturally, or use a paper towel to speed up the process, and get ready to put them back together. 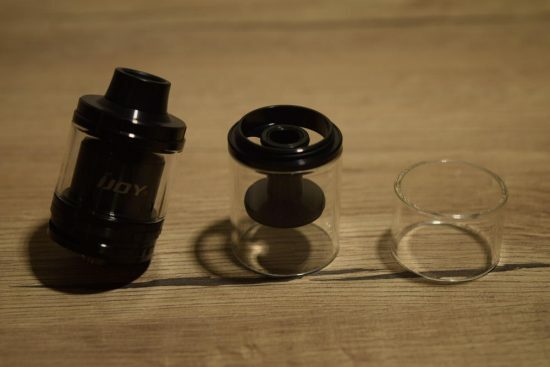 Whether you want to use the short or long version of the iJoy EXO RTA, the base and top cap of the tank are the same. All you have to change is the glass tube, and the top extension caps that also incorporate the filling system. For the 6 ml version, use the longer extension, and for the 2 ml one, the shorter one. You can also switch the decks according to your preference. Both build decks come with their own connection pins, so all you have to do is screw them on or off the base and you’re good to go. Switching between the two versions is very easy to do, as the threads are very fine and everything screws together effortlessly. Sometimes the parts screw on too well, and it’s hard to take the tank apart. I would suggest being extra careful when attaching the top cap, as screwing it on too tight might make it difficult to take off when refilling. Then, if you’re not careful, you could end up unscrewing the extension section and have juice leak through the threads. 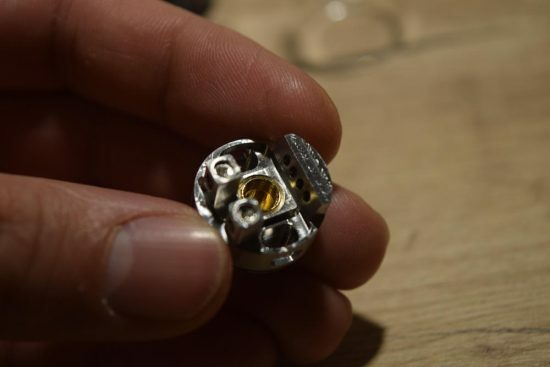 Mounting the coils on the build decks of the EXO RTA is a breeze, so if you have any experience with RTAs, you should have no issues at all. With the single-coil deck, you need to make sure that the coil is positioned right above the bottom airflow, for optimal performance. Wicking is pretty much the same on both decks, with the only difference being that you have two coils to wick on the dual deck, and just one on the single coil deck. Both have large wicking slots on the side, for each cotton lead, and all you have to do is make sure that the cotton blocks the holes without cramming it in them. What you want to do is cut the leads long enough so they reach the bottom of the deck and position the leads so that they cover the slots. Stuffing the holes will make it harder for the juice to saturate the cotton, while leaving the holes exposed will result in the atomization chamber being flooded. Once you’re done with the mounting the coils and wicking them, add a few drops of juice on the cotton, to avoid dry hits, but the tank back together and fill it up with e-liquid. To do that, unscrew the top cap to expose the two massive fill ports and pour the juice in. Give the cotton a few minutes to soak up the juice, and give it a vape. The iJoy EXO RTA vapes well in both shorty and extra-large modes, but there are some differences in the experience you get, especially if you take into consideration the two available decks. I for one found myself using the smaller version a lot more over the last two weeks, not only because it was easier to carry around – not having the tall tank sticking out of my pocket, and all – but also because I enjoyed vaping it more. Basically, the main difference has to do with the length of the chimney. With the shorty, the coils are a lot closer to your mouth, so the vapor produced when firing the mod reaches your mouth faster, resulting in a slightly warmer vape. That’s another thing it has in common with my trusty iJoy Tornado 150, actually. The larger version of the tank is not necessarily worse. If you’re vaping at the exact same power/temperature setting, the vape will feel slightly cooler in this mode, but some people actually prefer it that way. And even if you don’t, if you’re just using it for the high juice capacity, all you have to do is crank up the power a bit and the problem is solved. Ultimately, it’s just a matter of personal preference. 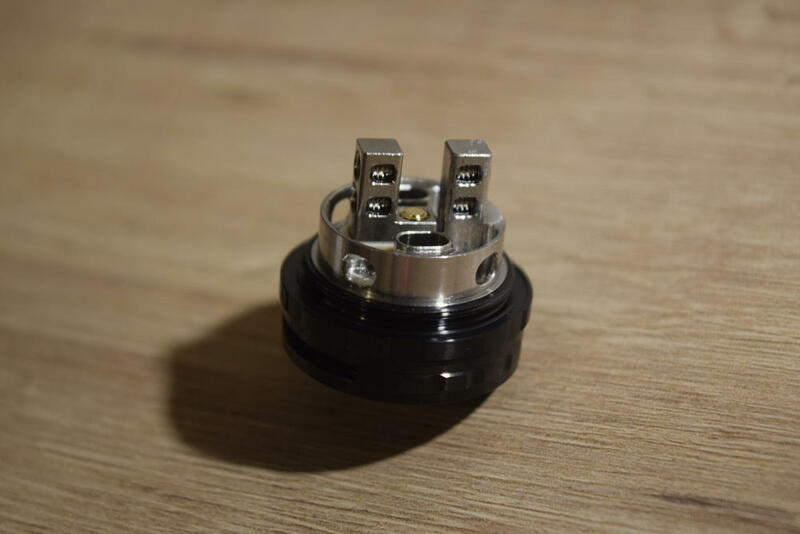 As for the decks, I was curious to see if the single-coil one, with the side and bottom airflow system, was better than that of the GeekVape AMMIT. 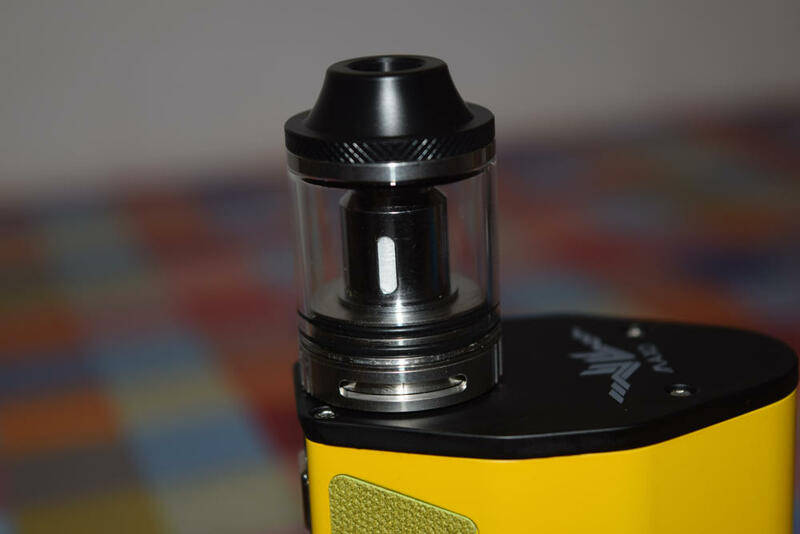 As much as I loved the concept of the three-dimensional airflow, the execution was not as impressive as I would have liked on that tank, primarily due to the small size of the wicking slots. You got one good hit, and if you wanted to take another right after that, the flavor would be muted, or worse, taste burnt. Luckily, the iJoy design doesn’t have the same flaw. The wicking holes are slightly larger in diameter, making it easier for the juice to saturate the cotton. This really allows this innovative airflow system to shine, rewarding you with mouthfuls of flavorful vapor. I only used it with one of the fused Claptons included in the starter kit, and it worked great, but I’m sure you can get even better results with some fancier builds. I did also test the classic dual-coil Velocity deck and it vaped as well as I expected it too. It’s a really solid design, and the only reason I haven’t mentioned it too much in this review is because we have seen it on so many other devices before. I’ve had no leaking problems with the EXO RTA – neither in shorty or extra-large mode – which is always a great when bottom airflow tanks are concerned, and no spit-back issues, although that is mostly caused by how tight or loose you wick the coils. The juice-flow control system also works as intended. It’s not too loose, not too tight, allowing you to easily close the slots when refilling the tank, and re-opening them when you’re done. Overall, the iJoy EXO RTA is a great tank that impresses both in terms of versatility – offering you the chance to switch between two different tanks with two deck styles – but also in performance and build quality. 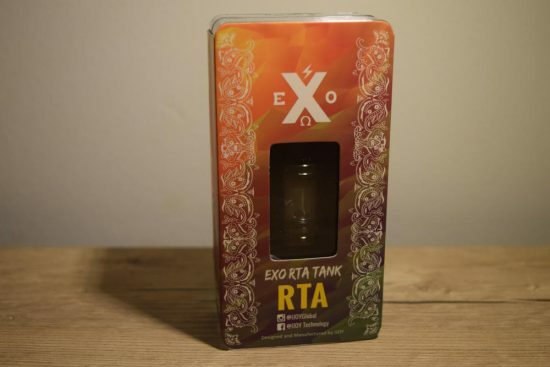 There a re a lot of tanks out there that look great on paper, but don’t really deliver in real-life conditions, but the EXO RTA is definitely not one of them. iJoy had already set the bar high with previous atomizers like the Tornado 150 and the Limitless RTA Classic Edition, but it managed to raise the bar again with this latest offering. 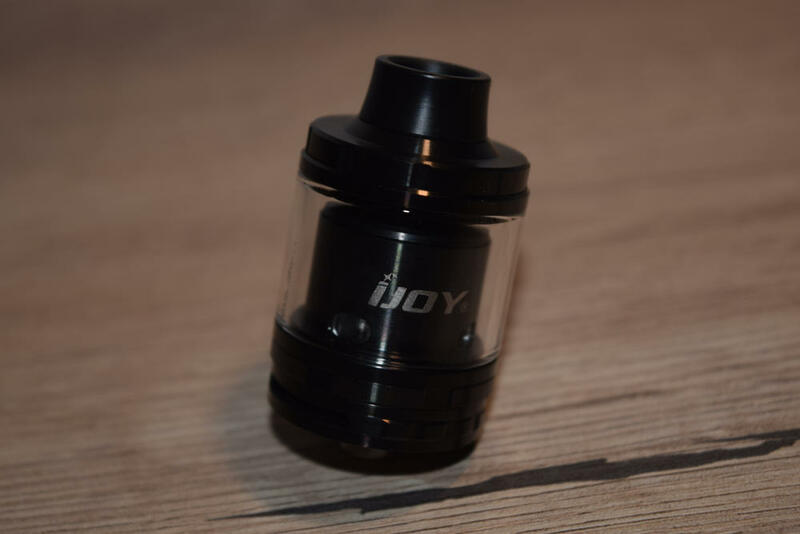 If you’re looking for a great tank that also happens to be great value for money, look no further than the iJoy EXO RTA.